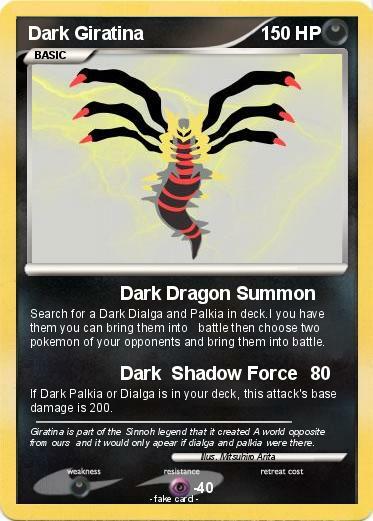 Search for a Dark Dialga and Palkia in deck.I you have them you can bring them into battle then choose two pokemon of your opponents and bring them into battle. If Dark Palkia or Dialga is in your deck, this attack's base damage is 200. Comments : Giratina is part of the Sinnoh legend that it created A world opposite from ours and it would only apear if dialga and palkia were there.